Recap of the community team efforts at WordCamp Europe Contributor day. After a first round of online round tables for meetup organisers, we started work on putting together a second round. The team spent time working on documentation that are incomplete or don’t already exist. @francina I intend to have my Camptix Nofity tool documentation completed and posted for review by Monday. Sorry this is so late, here is the first draft of the Camptix Notify documentation. Comments and suggestions are welcome. Did we merge this? I think it looks ready to be published! 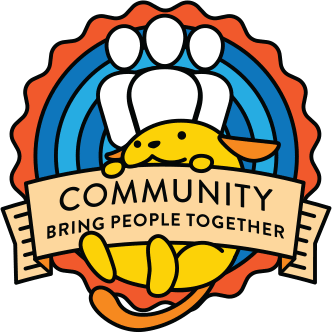 The WordPress global community team is a group of community organizers who collaborate on local, in-person events about WordPress — monthly WordPress meetups and/or annual conferences, called WordCamps. Successful WordPress community events connect WordPress enthusiasts, inspire people to do more with WordPress, and contribute to the WordPress project. The mission of the global community team is to make WordPress community events easier to organize and a better experience for attendees. Community events are a friendly and (relatively) easy introduction to WordPress (and open source) for new contributors, which also offer lots of opportunities for people to participate and contribute for the first time. The connections that community members make at our in-person events make it easier for people to “stick with” WordPress, even when something they’re trying to do is unusually challenging. By creating welcoming and inclusive events where most interactions are gracious and friendly — and by modeling this behavior as organizers, speakers, sponsors, and volunteers — we set expectations for gracious and friendly behavior throughout the WordPress open source project, even online where it’s easier for people to be less courteous and caring. This helps the people who build and maintain WordPress to collaborate more effectively and for a longer period of time.